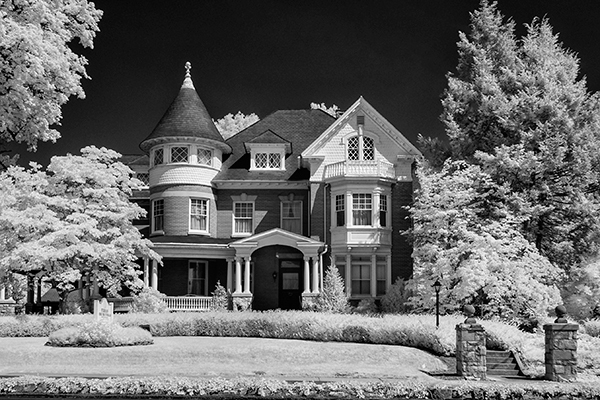 Infrared works well for this old Victorian home. 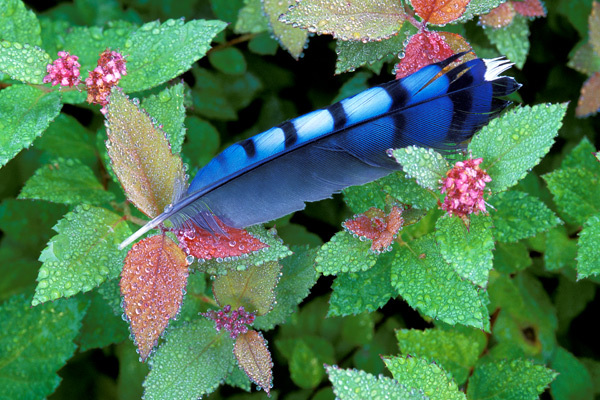 A bluejay feather is a pleasant surprise in the garden. 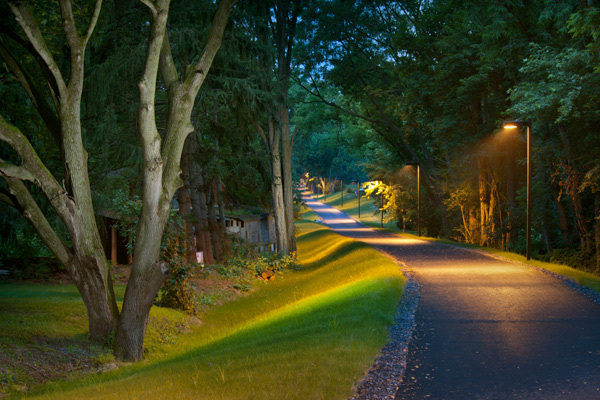 The Rail Trail illumination creates a contrast of warm and cool as dusk takes hold. 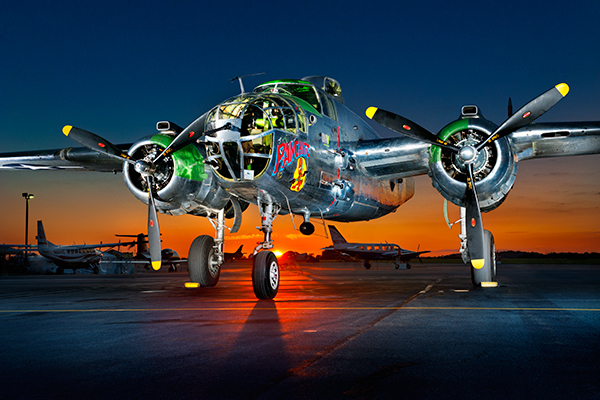 This plane is practically like one big chrome object and as you can see it reflects onto the black top as the setting sun hits it.Sorry I am not sure what type this is. 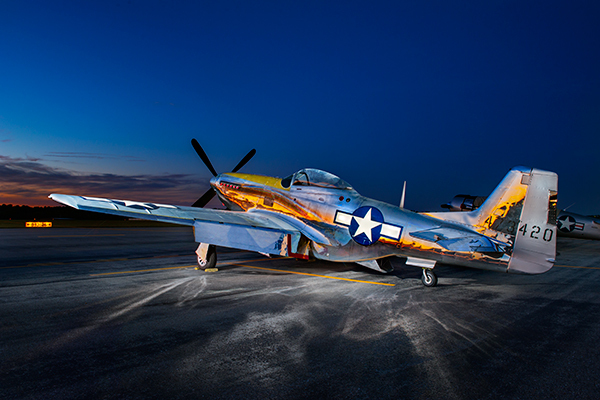 I am guessing P-51 but I may be way off. 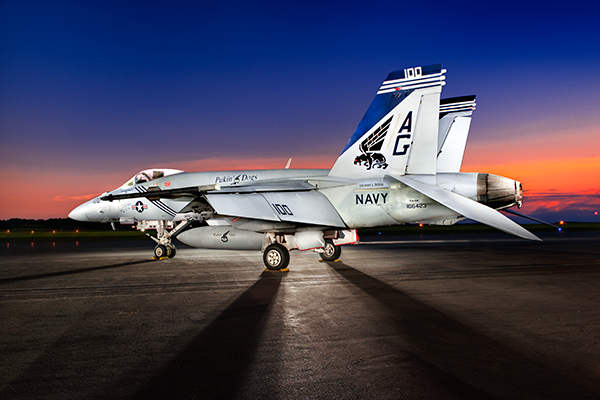 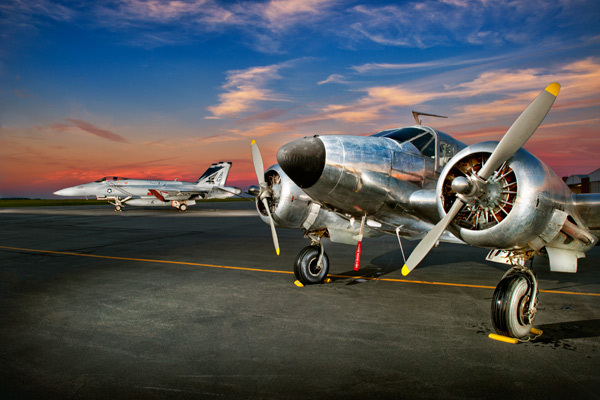 The f18 Super Hornet sits in the background and a very shiny BE18 plane sits in the foreground.